John McPhee’s new British Talent Team will be launched tomorrow in London, with the Czech Grand Prix winner joined by Dorna talent and development boss Alberto Puig and the project’s new talent scout Jeremy McWilliams. They’ll launch not only the new factory Honda that McPhee will campaign in the 2017 Moto3 season but also Dorna’s new plan to develop British talent, the British Talent Cup. 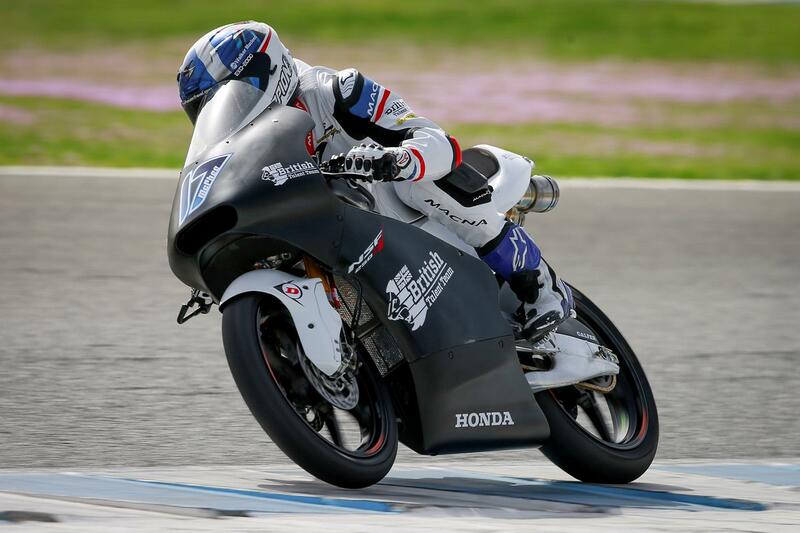 The series will closely model the Asia and European talent cup championships that Dorna also run, using one-make standard Honda machinery and aiming to keep costs to a minimum. And, with Dorna keen to get the class up and running as soon as possible, CEO Carmelo Ezpeleta recently confirmed to MCN that the first trials for it will happen in August this year. “We have the idea to make a British Talent Cup, and we’re going ahead with it. Already in 2017 there’ll be a British Talent Team with John McPhee, and we’re hoping to have a selection for the Cup at Silverstone the week before the Grand Prix, similar to the Asia Talent Cup. “Making the selection then is for sure, and we’ll invite people to come – and in the UK we think a lot of people will come. We will have a test in Silverstone, and then the idea is to launch it the same as the Asia Talent Cup, with all the equipment coming from us. We’ll shortly announce a new program for promotion and talent within Dorna, and that’ll be under Alberto and a team of people, with Jeremy also involved.